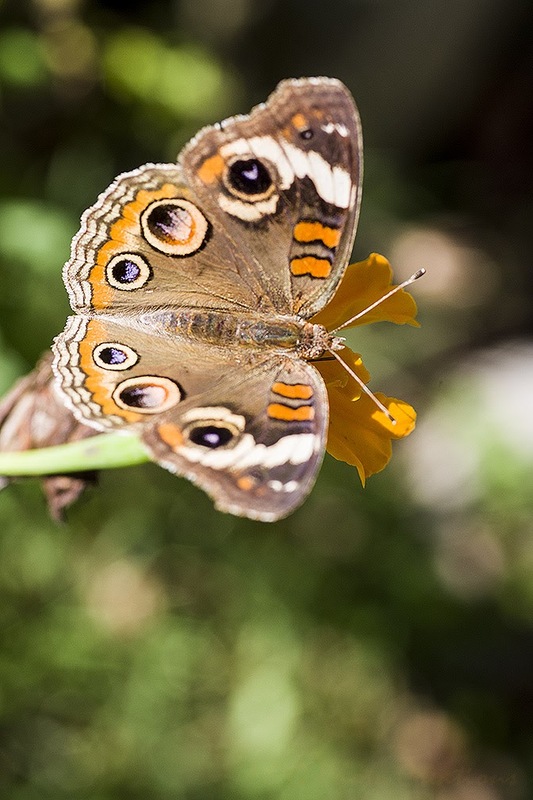 I had not seen a big variety of butterflies this summer, it was a big year for Painted Ladies though. I finally had some different ones visit early this Autumn. 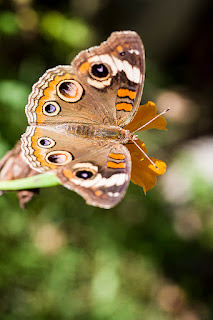 This is a beautiful and perfect Buckeye that came to visit the garden not that long ago and allowed me to get a few shots of it.